A gray overcast day, but light winds, and almost no rain (other than a couple of drips). Seven shooters, with the simple majority going to the sling guys. Probably the first time in a couple of years, where the sling weenies out numbered the F-Classers. We'll take it! In the Sling category Leo Cebula and John Luitink both finished one down, but Leo posted 36X to John's 34X. In F-Class, F-Open shooter Jarrod Methner dropped only two for a 598-38X, impressing his fiancee (who we will never see again after the wedding) who observed the match. The next match is July 11, 2015. Look it up in Events. The 2015 Michigan Fullbore Rifle Championship was shot on a day that started with frost warnings, but ended in an absolutely gorgeous Michigan spring day. The winds were gentle. Just enough to keep the barrel mirage from disturbing your aim, but not enough to disrupt the path of the bullet to the target. 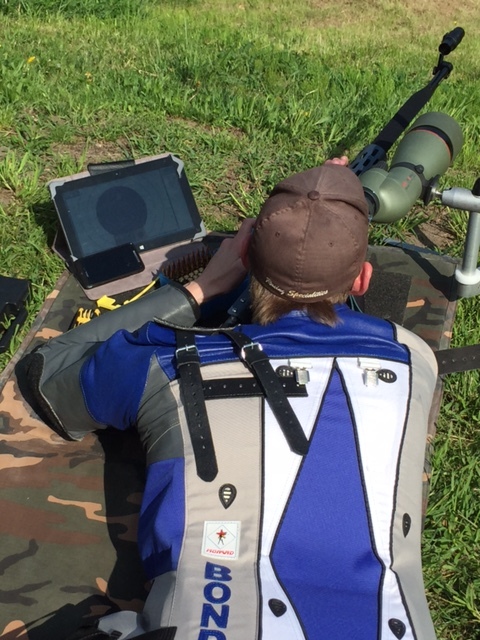 In the Target Rifle aggregate, the winner and state champion was decided between seven (7) shooters separated by one point (446-447). Ultimately, Kevin Nevius from Ohio (the state to our south, you know: You are now entering Ohio, turn your watch back 25 years, that Ohio). Kevin, a two time national smallbore prone champion posted a 447-25X besting the other three 447s and both 446s. For resident state champion, two shooters produced 447-23X (John Luitink, and Peter Church). Their tie was broken by 15.4b(1), as such John Luitink is named the Michigan Fullbore Rifle Champion (TR) for 2015. 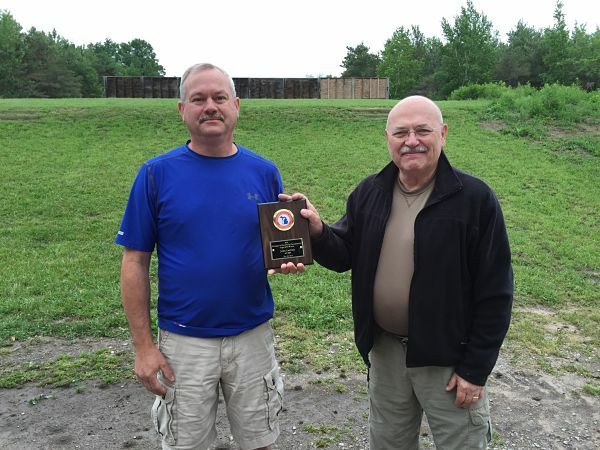 In F-TR, Bill Litz posted a 446-21X to become the Michigan Fullbore Rifle Champion (F-TR) for 2015. There were insufficient entries in F-Open to provide an award. 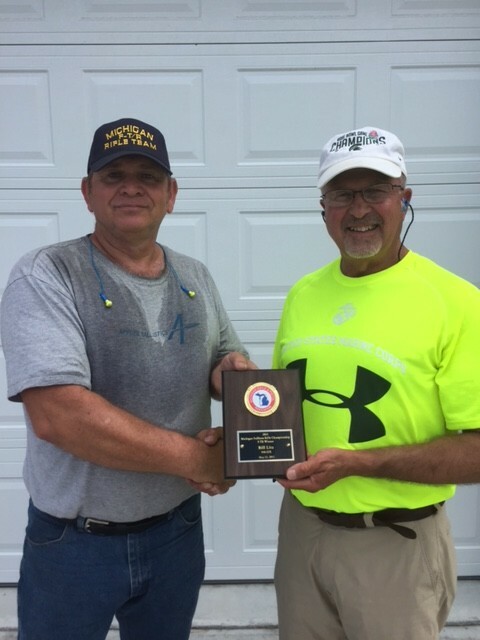 Bill Litz (l) receives his 2015 Michigan Fullbore Championship Plaque from Leo Cebula, President Michigan Rifle and Pistol Association. The first Suburban Mid-Range Prone league was held on Sunday, May 17, 2015. 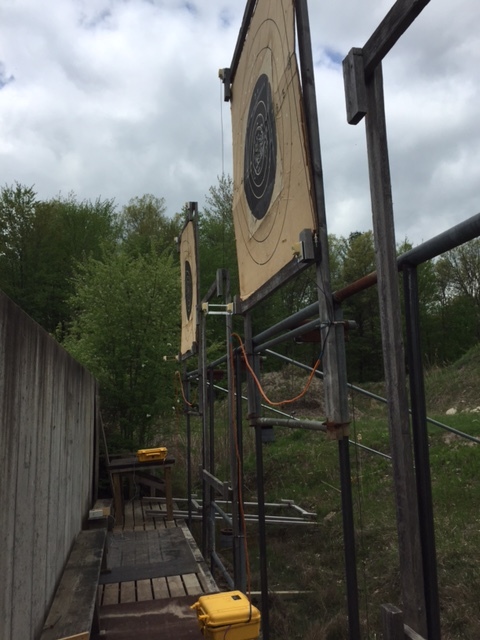 We had eleven shooters, who had the opportunity to shoot on Silver Mountain targets. By and large the experience was positive. 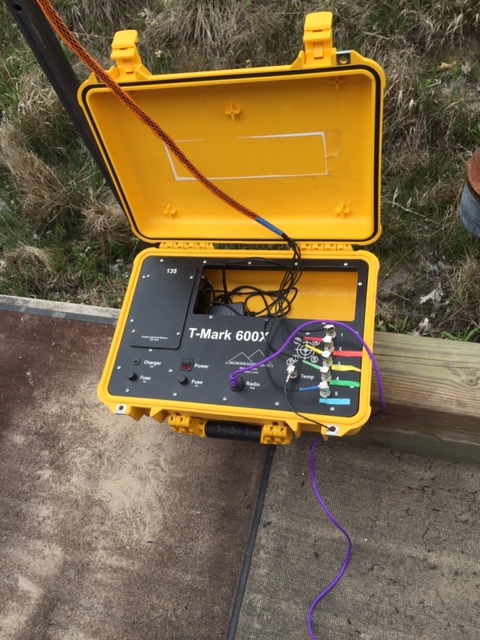 The match ran on three targets with four relays and consisted of a 3x600. We started around 9:15 AM. All four relays completed at 12:10 PM. Right around three (3) hours to complete four relays of a 3x600. 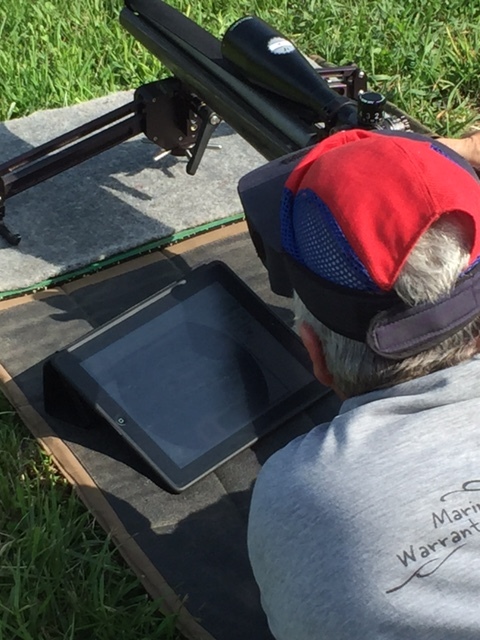 An F-Class competitor using a tablet to view shot location and value. Jake Bondy using a tablet as above. Target with microphones in the corners.